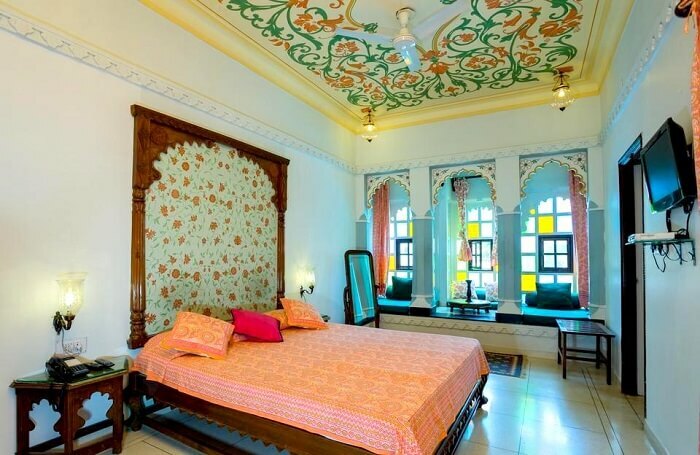 Boutique Hotels In Udaipur To Feel That Royal Rajasthani Flava! Add a little bit of style, panache, and character to your next vacation in Rajasthan by staying at one of these stylish boutique hotels in Udaipur. Not only do these hotels provide ample luxury for its visitors, but they also narrate stories to travelers of the culture, history, and traditions of Rajasthan. 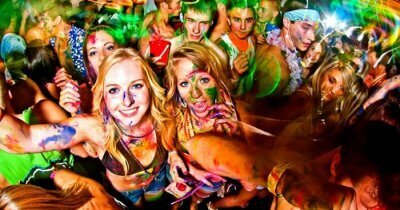 As the Indian tourism industry is growing, the travelers in India (both domestic and international) have started to demand experiences pertaining to specific segments. 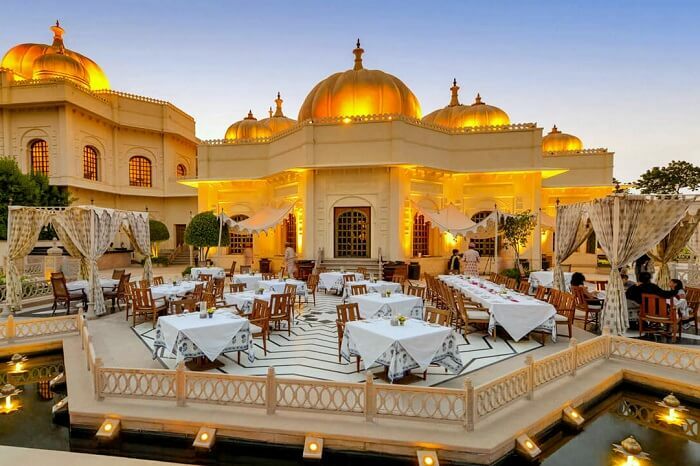 In terms of accommodation, there has been no exception as tourists wish to visit the city of lakes (Udaipur) and spend their nights at some of the best boutique hotels in Udaipur. Swaying away from the mainstream hotels and staying at some of the lesser known luxury hotels in Udaipur will surprise you with some pleasant decors, authentic hospitality, and a much closer view of the true Rajasthan culture at heart. Stylish boutique hotels in Udaipur have always been recognized world over with an envious reputation of providing unmatched cultural hospitality. 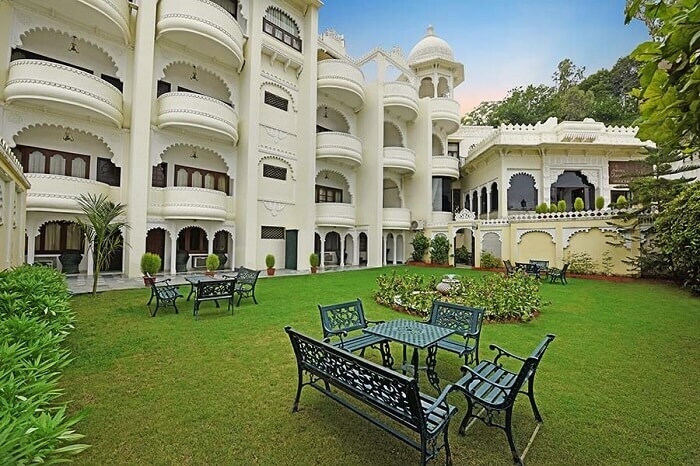 One such hotel is the Udai Kothi located in Udaipur which has received not only fame and recognition, but also awards and titles to boost its credentials. 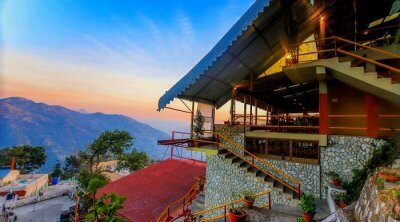 National Geographic Traveller rated Udai Kothi as the best boutique hotel in India. Whereas, New York Times declared Udai Kothi as the best wedding venue in Rajasthan. Also receiving praise for its stunning pool, Cigars & Leisure’s premiere issue included Hotel Udai Kothi in its “10 Best Pools in the World” feature. A nice and quiet place to experience the heritage of Udaipur, Hotel Boheda Palace is a property located in the heart of the city. Despite its central location, travelers will find this establishment in an off-beat lane provide a bit of solace and calm to the immediate surroundings. Enjoy one of the most romantic cities in India at a charming accommodation as you sip your evening tea from the terrace of Boheda Palace overlooking the regal city of Udaipur. 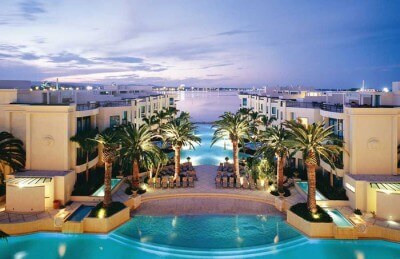 Regarded as of the finest boutique hotels in Udaipur, Hotel Swaroop Vilas is a treat for sore eyes. 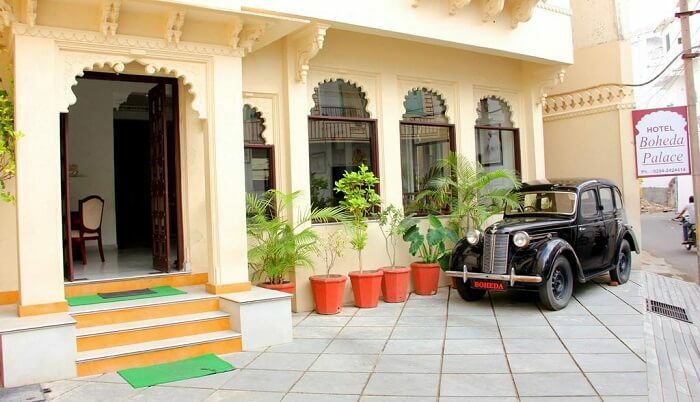 What travelers seem to like most about this property is the fact that it is situated in one of the most peaceful areas of Udaipur with a nicely furnished haveli from the inside and a memorable lake-view that adds to the charm of the entire experience. If the stunning views of the Swaroop Sagar Lake weren’t enough to impress travelers, then the terrace bar with an authentic Rajasthani restaurant will definitely get some taste buds tingling. 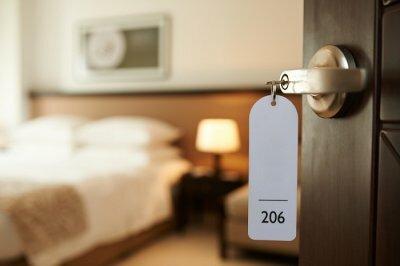 If travelers are looking to stay at boutique hotels in Udaipur with an age-old name and reputation, then this is the place they should consider. 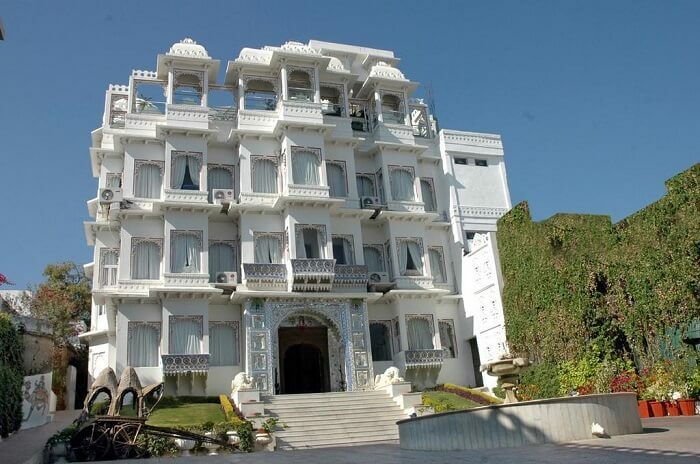 Hotel Panna Vilas Palace is run by a family who was armorers to the former Maharanas of Udaipur. 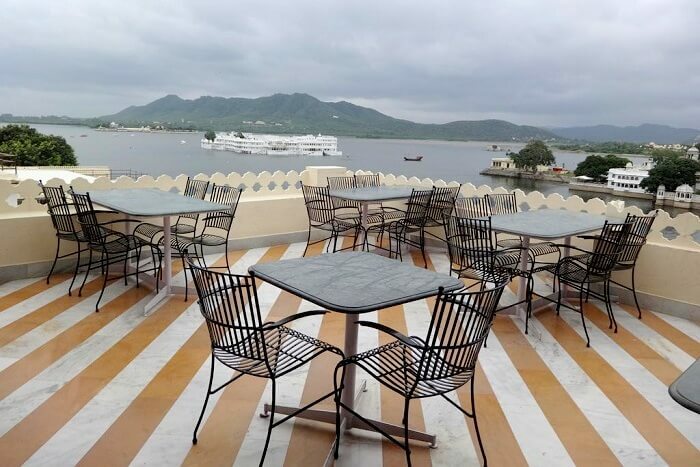 Their know-how for Udaipur, the kind of tourists that visit the city, and what their expectations give them an edge over other luxury hotels in Udaipur. The word ‘Devra’ translates into ‘where God resides’. A good precedent to start off a discussion about a boutique hotel. As the name goes, Devra Hotel takes a lot of pride in providing unmatched hospitality for its visitors who get a royal experience that will remain etched in their memories forever. What makes Devra Hotel stand out from other boutique hotels in Udaipur is that fact that this hotel is run like a family-affair by a couple married for over 30 years. The hosts show no hesitation in going out of their way to assist travelers in any which way they could. More so than any of the other boutique hotels in Udaipur, Jaiwana Haveli has a royal history attached because of it being the former residence of the Thakur of Jaiwana, one of the Jagirdars of Maharanas of Mewar. 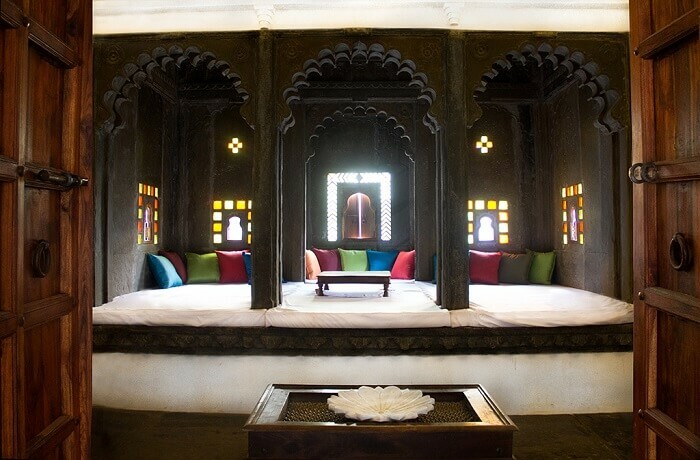 The haveli comprises of 24 rooms and is situated on the eastern side of Lake Pichola. In addition to the traditional touch, the rooftop restaurant gives away a breathtaking view of Lake Pichola while enjoying rich Rajasthani cuisine. A 300-year-old property belonging to the King of Madri definitely sounds like one interesting place curious travelers would love to stay at. 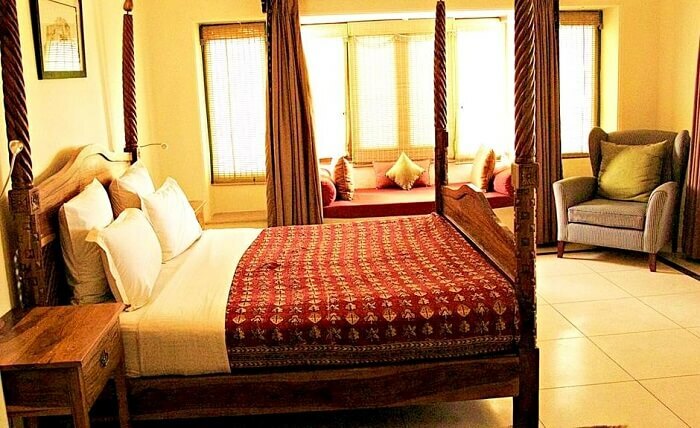 The Madri Haveli has only a meager 14 rooms, each and every one of them carefully designed and renovated keeping in mind the authentic taste of the property as a whole. It took 6 years for an Indian designer and a French businessman to carefully restructure the decors of this magical accommodation which will prompt travelers to pull out their cameras and go on a photo frenzy to grab some memorable snaps while on their trip to Udaipur. 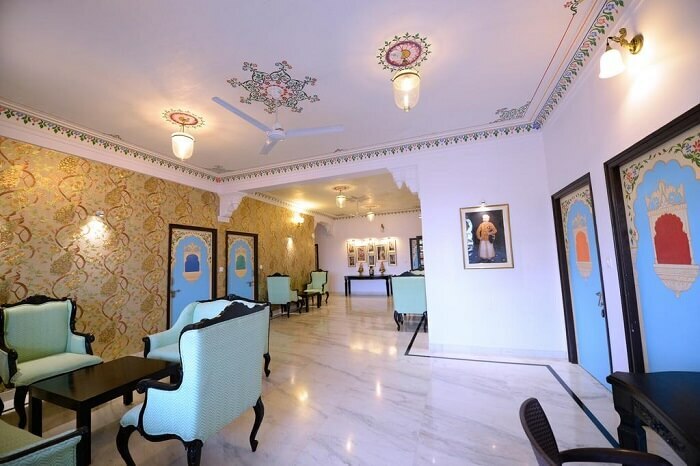 Situated on the highly regarded Lake Palace Road, Hotel Mahendra Prakash is a beautiful property for travelers overlooking the Sajjan Niwas Gardens run by a family to provide an authentic Rajasthani experience. 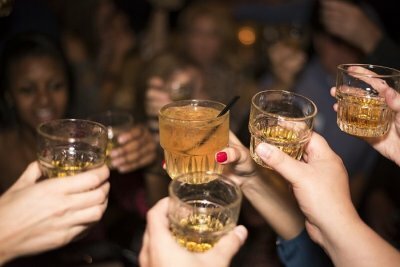 Not only does this hotel offer exceptional food, great service, and warm hospitality, the price for this hotel comes under the budget hotel tag and travelers get a general feel of getting value for their money. 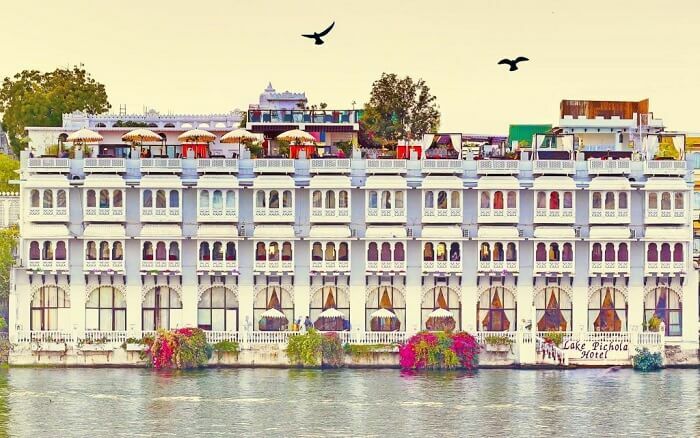 A heritage hotel in every true sense of its name, Lake Pichola Hotel is one of the most beautiful and magical boutique hotels in Udaipur. Indulge yourselves in the romance of the beautiful lake city of Udaipur at this Hotel established on the western banks of Lake Pichola. This hotel brings a whirlwind of Rajasthani culture and tradition giving a strong sense of nostalgia to its visitors by teleporting them into a time more fascinating than what it is today. Located on the outskirts of the city on the top of a hill, Hotel Fateh Garh is one of the finest luxury hotels in Udaipur that provides top-class accommodation experience, spoils you with world-class hospitality, and authentic delicacies that will leave an indelible mark on your taste palate. Hotel Fateh Garh also lets you indulge in some interesting activities like zip-lining, jeep safari, or even go on a vintage car ride around town. 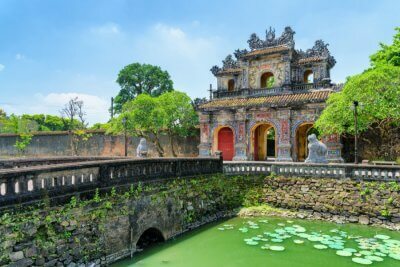 A fascinating experience that any traveler would love to have. A vacation in Rajasthan is a truly unique experience on every step of its way. Boutique hotels in Udaipur go a long way in justifying the importance of good accommodations and how they can take a good trip and turn it into an unforgettable experience. Go on an amazing journey to Udaipur by booking an attractive Rajasthan Tour Package from TravelTriangle at great prices.